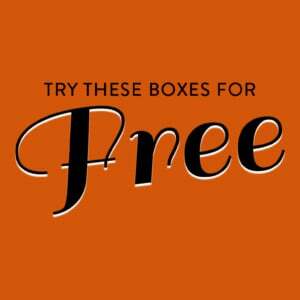 Coupon: Use coupon code GETJAN for free shipping on your first box! 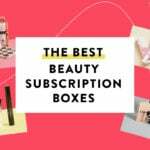 The Products: Each box will include items in the beauty, health, food categories curated by Sazan Hendrix. Bless Box has gotten a recent makeover with their box, and an info booklet that comes along with it. Inside, find the items included and listed values, plus interviews and general life tips. We also received some more information about some of the brands included this month. This body butter has a great texture- it is firm like a stick of softened butter (not butter straight from the fridge). It absorbed quickly into my skin, wasn’t greasy, and the light, natural rose scent was pleasant. The only thing I didn’t like was the plastic it was packaged in- it had almost a light green tinge to it that made me worry the butter had turned, but the lotion was fine! I think it is just the shade of the plastic since it is made from 100% recycled plastic. This was a solid hand cream! It has a great unisex fragrance with a light sandalwood scent, it absorbed quickly, and my hands didn’t feel really greasy after using. A little bit of this goes a long way- I squeezed out too much the first time and ended up moisturizing my hands, arms, and elbows, but it did the job well. One thing that was neat is that these are a brand new product release- they debuted at Target at the end of December. I love hydrogel masks- they are cooling, super comfortable to wear, and I feel like they help skincare sink in better when I wear one after applying serums (I have no evidence to back up that last claim). This is made with gold dust powder (which is more fad than fab- I’m pretty sure I remember Ragan saying the gold molecule is too big to penetrate the skin’s surface) along with niacinamide and green tea. This was an enjoyable 20 minutes and my skin looked better after using, so it works for me! I wanted to like this serum- it’s affordable and it didn’t irritate my eyes. Unfortunately, I won’t keep using it since Alcohol Denat is listed as the second ingredient above the lash-nourishing ingredients. I do like the handy brush that you apply like a mascara, compared to the kind you apply like an eyeliner. Also, we got a lash serum in last month’s box too, so this feels a little repetitive. This mascara did a good job of lengthening my lashes, but the brush is so big that I didn’t feel like I could effectively reach the root of my lashes. I also did have some mild clumping, so I had to apply with care. Overall, though, this is a pretty good drugstore mascara. This toothbrush is made with sustainably harvested bamboo that makes the handle biodegradable, and the bristles are soft and safe for those with sensitive gums. I can always need another toothbrush, and this one will do nicely. This clip-on toothbrush protector is so handy- I always hated traveling and throwing my toothbrush in with all of my other toiletries. This cover keeps things sanitary, and it fits most standard and electric toothbrushes. This handy razor protector does more than hide sharp blades- thanks to the zinc anti-rust strip, it also keeps your razor from rusting and dulling out, prolonging its sharpness! This is handy, and considering a good razor isn’t cheap I’m excited at the prospect of my razors lasting longer. This bar was delicious. Looking at it I thought it was going to have a hard texture, so I was pleasantly surprised to find that it had the typical granola bar texture with the tasty flavor of maple sugar and pecans. Bonus- this bar is also gluten-free! These are a one-a-day supplement that is designed to promote urinary tract help thanks to the powerhouse that is a cranberry! Each pill is the equivalent to 25 grams of fresh cranberries, and this hefty tub is more than a 3 months supply. This soap has a delightfully light scent of citrus and coriander and it is made with shea butter and vitamins A, C, and E. It was a hydrating wash that didn’t dry my skin out, and this soap is cruelty-free and free from parabens, sulfates, phthalates, and gluten. This salve is a do-it-all topical treatment for various injury ailments like blisters, sunburns, insect bites, cuts, and scrapes. It is made with ingredients like organic olive oil, organic beeswax, Vitamin E oil, and Organic St. John’s Wort. I try to stay away from the nature that can injure me, but the day after I received this I was cooking and absentmindedly grabbed the handle of a pan that had just come out of a HOT oven. I had no real first aid stuff in my apartment, so after soaking my hand in cool water I slathered this all over before heading to the drug store to grab supplies. I think this helped to keep my skin calmed down, and I am happy to have this handy little tin around the house. This body wash is hypoallergenic, pH-balanced, certified cruelty-free, and made with no sulfates, triclosan, formaldehyde, parabens, phosphates, SLS, SLES, MEA, DEA, TEA, petroleum-based ingredients, animal by-products, chlorine, dyes, or caustics. As if that is not enough, the zesty scent of citrus and sea salt is absolutely heavenly, and the hand-drawn artwork on the bottle supports local artists! These organic cotton headbands are made with a dye that is free of lead and heavy metals to protect both the workers, the consumer, and the environment. We received 12 headbands, two in each color. I like that the wide band of these headbands means that there won’t be a dent left in my hair, but there is nothing on them to really grip my hair so they slid off easily. The Verdict: This Bless Box was JAM packed- when I opened it I had to do a double take to make sure this wasn’t a bonus box in disguise. My favorite items this month came in the body care items, as I really like the Love Beauty & Planet goodies as well as the Puracy body wash. Not everything in the box was a hit for me, but since there were 14 items in this box I am not that bothered. I d0 think the booklet could be tidied up a tad, as I noticed some errors when it came to the listed value, but overall I think the value of the box is worth the $37.49 monthly cost. I calculated a total value of $148.80 for everything in the box, and I think that is a great deal. Can you still get this box if you sign up today? No, but subscribe by the 17th to receive January’s. Bless Box ships once per month, usually between the 19th and 22nd. If you subscribed on or before the 17th, you will receive a box that month. If you subscribed after the 17th, your first box will ship the following month unless otherwise stated. Value Breakdown: This box costs $29.99 + $7.50 shipping, which means that each of the 14 items in the box has an average cost of $2.67, which is an awesome cost per item. What are your feelings on Bless Box? Does it create an overall lifestyle experience for you? Can someone tell me why the ratings for this box is so low-2. 9. I have thought about trying it but have been hesitant due to the low rating. I would try this box but it’s a tad too pricey. They have a code to receive extra items (eye mask, face mask and gold plated necklace). It’s on another post for today. You can see if that will also work with MSA35 which takes the cost of the box down to around $27 with shipping included. That’s pretty incredible. I agree though – unless it’s a perfect fit for me every month, it feels a bit much. But when it’s a good fit – it’s such a great experience. And their quarterly boxes are amazing. Their winter box is still available and for me, I just loved it!